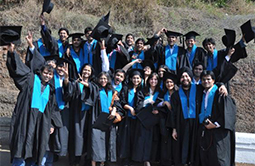 The Symbiosis Society has been set up under the Bombay Public Trust act, 1950 and over the years it has promoted several educational institutions. During these years, it has provided financial support to needy and meritorious students in pursuing education. However, these efforts have not been done in a systematic, planned and conscious manner. Now, the Society has undertaken a systematic and planned program of philanthropy to achieve its social obligation towards society and has set up a philanthropic arm, called Symbiosis Society Foundation. 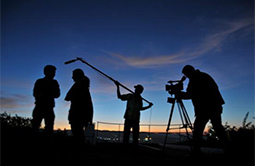 Symbiosis Society undertakes several programs to promote educational and other social activities that help the talented, as well as needy students, faculty and other members of the community. 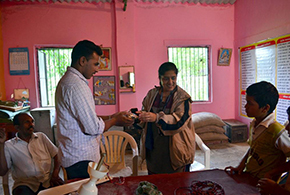 Symbiosis Society Foundation (SSF) is an integral part of the Symbiosis Society, but has a separate budget and a separate Advisory Committee to focus on educational and social activities and to manage the same. Donations received by the Symbiosis Society for undertaking the above mentioned philanthropic activities or for giving scholarships, awards and prizes are administered by the Symbiosis Society Foundation, so that all these activities are projected to the public in an integrated manner. Apart from the budget provided by the Symbiosis Society, the Society Foundation also generates resources through receiving donations from the well wishers of the Symbiosis Society, its alumni, industry and others. 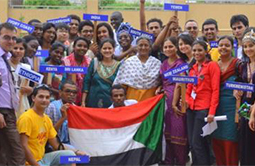 Symbiosis established an International Cultural Centre in Pune and provided a home away from home for foreign students. 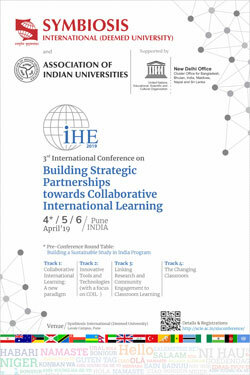 Many alumni of Symbiosis are presently occupying prestigious positions in their home countries and they have become cultural ambassadors of India. Symbiosis established a memorial to Dr Ambedkar and now the B. R. Ambedkar Memorial is a hallowed monument dedicated to one of India's most illustrious sons. It is also a centre of cultural activities open to all the citizens of the city of Pune and outside. 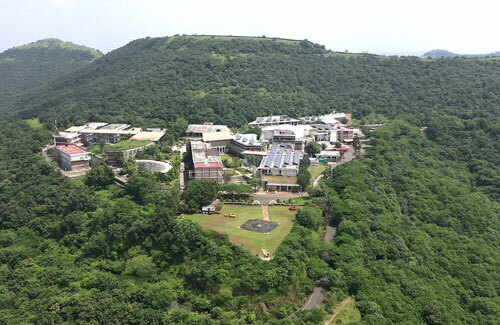 One of the greatest contributions of Symbiosis is establishment of Symbiosis Institute of Management Studies (SIMS), Pune, an exclusive educational centre to offer rehabilitation training to the retiring armed forces personnel. It also has a Post Graduate Management Programme exclusively for the wards of Armed Forces Personnel. To provide quality education to the children of Police Personnel, Symbiosis developed a partnership with the police administration in the state of Maharashtra and established a school for the wards of police force. 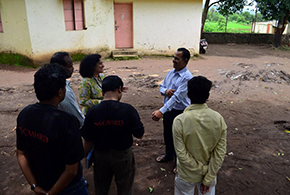 Symbiosis is providing quality education in a rural school in the village Harali in the District of Kolhapur. Symbiosis established Spa to promote sports and to provide systematic training in sports in addition to cricket. It has also instituted an award, honoring the lifelong achievements of sports personalities. 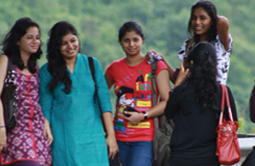 Symbiosis Centre for Health Care provides quality medical facilities to students and staff at a very low cost. All students and staff are covered under Health Insurance. Symbiosis International (Deemed University) has established Service Learning Centre for involving students in social and community activities. The Centre will connect campus and community resources to create diverse learning experience for students to serve the needs of the community. The University strongly believes in sustainability, and energy conservation to secure the world for future generations. To ensure the same, the University via infrastructure, has pro-actively installed adequate power supply backups, bio-gas plants, approximately 160 solar panels, and rainwater harvesting at most campuses. 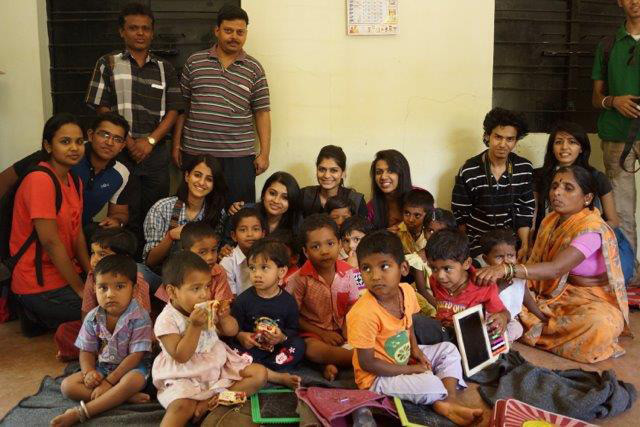 Symbiosis International (Deemed University) under the aegis of the Student Affairs Department launched Symbiosis Community Outreach Programme and Extension (SCOPE) activities on 2nd July 2012 with the objective of positively impacting the community around SIU. The initial area of focus was Healthcare, which later expanded to include Finance & Banking, Computer Literacy, Legal Counsel etc. The areas added later were already being addressed by other constituents of SIU and then consolidated under SCOPE activities. 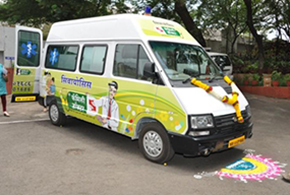 In line with the SCOPE initiative, Symbiosis Centre of Health Care (SCHC) launched the Family Doctor Clinic (FDC) and Mobile Medical Unit (MMU) in the Mulshi block of Pune district. The FDC located in Sus village is led by a Medical Officer and supported by a staff nurse and one attendant. 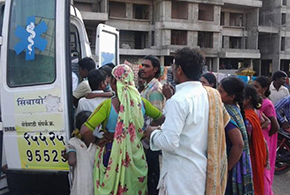 MMU is a well-equipped mobile clinic run by a Medical Officer, a staff nurse and one medical social worker. It is catering to 14 villages in Mulshi block and 2 construction sites in Walhekarwadi and Kalakhadak areas of Pimpri Chinchwad Municipal Corporation. FDC & MMU conduct a variety of preventive, promotive and curative services for poor, mostly rural, needy and marginalized population based in access compromised areas. Activities like outpatient services, health talks, celebration of national and international health days, etc. are conducted. SCOPE has increased networking with government and private health care sector to undertake variety of activities like monthly immunization of pregnant & lactating mothers and children, monthly ANC (ante natal care) checkups, and treatment camps, patient referrals, support to private/government health programmes. FDC and MMU teams also conduct health awareness and research/survey related activities in collaboration with sister institutions of SIU. Since inception upto July 2015, more than 25000 patients have been examined, counselled and treated. In tune with Institutional Social Responsibility (ISR), students of various constituents of SIU have been providing education and some related resources like school fees, uniforms and books to the underprivileged children around their campuses. 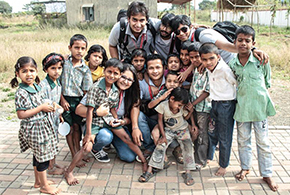 As a part of service learning, students also go and work with NGOs on projects of relevance for them. 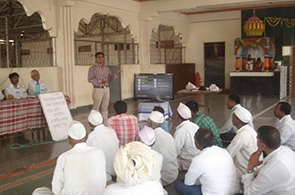 Students of Law School Pune have been conducting camps and workshops in villages around Pune to improve their legal literacy. 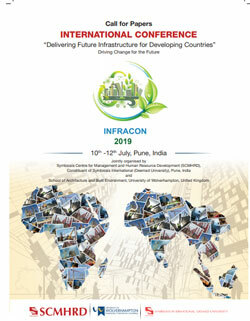 Every organization has a responsibility to the society apart from sustaining itself. With this thought in mind Symbiosis International (Deemed University) has undertaken to adopt 14 villages and 9 hamlets (n=23) around its campus at Lavale with respect to health, education, sanitation and waste management. Keeping in view the need for baseline information for this ISR project, a detailed survey was conducted by more than 200 students from 5 institutes (SCMHRD, SIIB, SIHS, SSP and SSBF) in August 2015. 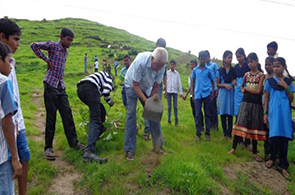 This activity was an enabler for these young bright minds in understanding the perspective of the social responsibility concept on ground with a clear picture of the basic and ground reality of modern India’s villages. The survey gave insights about village facilities and the difficulties related to infrastructure, education, health, life-style, sanitation and waste management. Plans are now underway for introducing appropriate interventions based on the findings of the survey. In addition to healthcare services being provided currently, these interventions may include providing free education up to graduation to deserving girl students, provision of computers and books for school library etc. 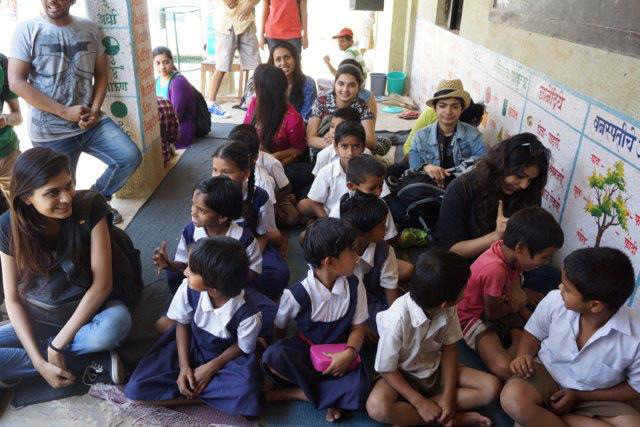 Students session of art and craft with the kids of Anganwadi School, Sambhave gaon, Mulshi Village, Pune. Students conducted an Introduction session for the stage confidence of students of ZP school, Sambhave gaon, Mulshi Village, Pune. 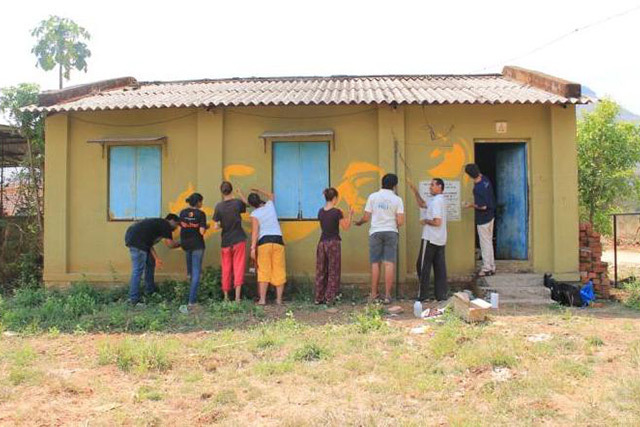 Students doing painting work on the walls of homes for mentally challenged at NGO Sadhana Village, Kolwan. Website last updated on : January 05 2019 12:17:11.